In response to WP Weekly Photo Challenge, which is Shiny. 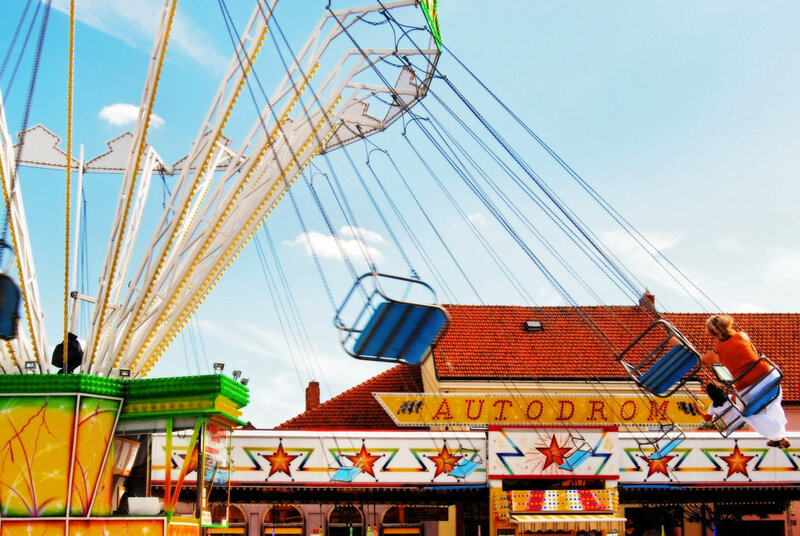 The following snap captures a thing not only very shiny but also extremely noisy—an annual local fair, which you get to experience very first-hand, when you happen to live just off the square. That brings back happy memories from childhood! I think that I still would enjoy it, were it not for incidents of vertigo in my old age. I like the loud noises of children and machinery, if not the heat and dust of late summer. You’d love it here if you like noises of children and carousels! I didn’t much enjoy it, but at the end of the weekend, I got used to it and didn’t mind so much. I think I might enjoy some of the rides still too, but no more wild rides for me either, though I used to like them as a kid. A couple of houses down from us lives a larger family with a dog…and a large netted trampoline in the back yard. I enjoy listening to the sounds of the children playing. And watching the kids try to perform skateboard stunts on our somewhat uneven surfaced road. I wouldn’t mind more activities. I must admit that I enjoyed climbing onto the elephant (or, alternately, camel) and riding the horses at the fair when I was young. Really liked the ferris wheel and roller coaster…back then. Great photo, I love the colours….is that you riding in front of the lady in orange? Hmm yes in some aspects but its fun to retain some childlike aspects to ourselves…..adds to ones impish charm I think. And you run over every day for a ride with Ella in tow ? I’m not sure which of us would be more sick on the rides, whether the cat or me!